a&a; beaches, bills and an unexpected letter | take your marks. go. 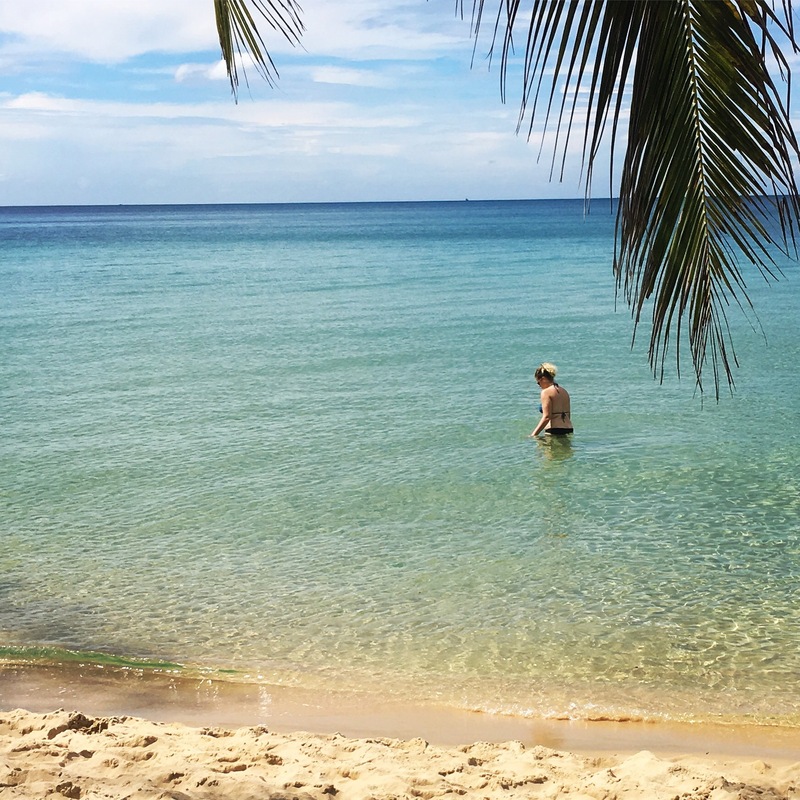 Writing this from a soft perch on the beach in Sihanoukville, the school and Phnom Penh feels a million miles away; a story from weeks ago when we were volunteers, not days. It’s hard to believe our 2 months here has already come to an end and while we look forward to the next chapter of our adventure in Vietnam, it’s hard to not feel a pang of sadness for a country that in it’s own frustrating way was home. The week got off to a worrying start when I received an email from Medibank (our medical cover in Australia) saying I owed $370. With money being ever at the forefront of my mind and an already tight travel budget, my stomach dropped. That was nearly what we’d been spending in 2 weeks here, just under half our remaining trip budget to medical insurance that I’d already been told had been cancelled. Thank goodness Australia is on top of things in terms of customer service provided through social media. A quick interaction with Brett via Facebook and everything was resolved – thanks Brett! It’s slightly complicated (I’ve explained it better here) but my cover still stands, I can use it towards some of that all important physio – no luck with hospitals or accidents – and because I was only in Australia for a few weeks, they can resume the suspension as though it never happened, meaning I won’t be stung for a years worth of premium until I’m back for good. While I could go on about beach life, about island hopping and drinking fresh coconut water and wading waist high in to the water without a care in the world. Not to go on, but that has been pretty awesome. For me though, our awesome this week came when we left the school – hear me out. There’s been whispering and a sense that the teachers were ‘up to something’. They were insistent that we be back at the school before our final day, that we weren’t in Siem Reap for too long. As it turned out they’d prepared letters of recommendation for Zac and myself, commending our work at the school. A reference if you will and offered us both a job at the school if our plans changed and we were at a loose end in Phnom Penh. They’d also bought us commemorative plates and there was of course all the appropriate pomp and fuss, pictures with the children, pictures of the presentation. It was incredibly touching and that was probably the moment that we both got those little twinges of sadness that we were leaving. There was of course overwhelming excitement for the beach and the prospect of turning these pasty white bods a golden sun kissed colour, but at that point it finally hit home that: this was it. I’m hoping to put my letter to good use in the near future. ← goodbye teacher becky, goodbye teacher big.